This analysis of the video footage taken during the 2004 Nimitz UFO incident is part of an ongoing effort to figure out what actually happened and which information can be trusted. Pilot interviews state that the UAP was hovering at 24,000 feet. there is no visible exhaust plume from the object. Mid-wave infrared images of hovering aircraft, such as the AV-8B Harrier, would clearly reveal an exhaust plume if one was present. Does it show visible exhaust or other means of propulsion? Does it display extreme maneuverability or acceleration? Archived version of an apparently leaked footage from February 9, 2007. Of these, the first one seems to be the most original and best quality. NYT version is not far from that, while the TTSA version is the worst with a lot of additional softening due to re-compression. Hence all the analysis was performed with the first video. 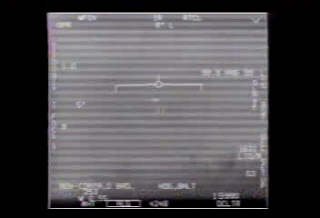 Like GIMBAL, this footage comes with crucial chain-of-custody (CoC) documentation because it is a product of US military sensors, which confirms it is original, unaltered, and not computer generated or artificially fabricated. While there have been leaked versions on the internet, the CoC establishes the authenticity and credibility that this version is the original footage taken from one of the most advanced sensor tracking devices in use. That is not what they actually provide. They do not provide that CoC documentation and the video they actually provide is not original and it has been obviously modified with their own marketing and explanations and re-compressed to worse quality than the leaked one. The situation is similar with all their videos. It's obvious the TTSA is more interested in marketing themselves than actually providing original unaltered evidence that would support their claims. 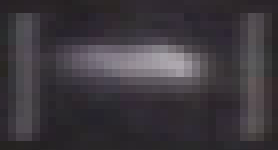 The resolution of that video is 352x240 pixels, but since it actually contains black borders, the resolution of the useful part is only about 238x214 pixels. So not good at all, and much worse than the original 640x480 resolution of the ATFLIR pod. Additionally there are plenty of all sorts of video artifacts. The jet was flying at an constant altitude of 20,000 feet, 250 knots CAS = 336 knots TAS, so it would have covered about 13,1 km = 7,1 nautical miles during that video. During that time, the plane seemed to fly almost level. Due to the low quality, small banking angles are difficult to measure, but they seem to have been about 1° at most and the plane was turning more towards the right. Even if it was banked that estimated maximum of 1° all the time, it should have turned only about 4° in total. Proper analysis of the flight path of the object would require knowledge of where the object actually was in relation to the jet, but unfortunately the Nimitz video footage doesn't contain rangefinder distance information. Part of the video actually shows the rangefinder displaying "99.9 RNG 99", indicating the pilots tried to use that but for some reason (such as being out of range) it didn't work. However, we might be able to calculate some kind of estimates from other available information, if it is reliable enough. The display on the video indicates the sensor was "aimed 6° above aircraft axis", according to the TTSA description, and that is consistent with the Go Fast footage, which shows negative values when the sensor is aimed below aircraft axis. 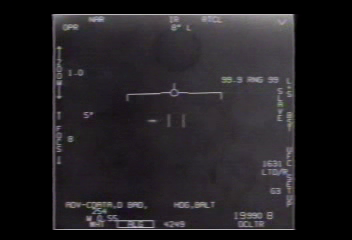 So the altitude specified in that FighterSweep article cannot be true (meaning either the radar gave incorrect information or it was reported inaccurately), since the jet was flying at 20kft and the display indicates the object was 5-6 degrees above them, not below. But here's the problem: For the first 22 seconds of the video, the display indicates the object was 6° above their axis, and after that it was just 5°. If it was actually hovering and they were getting closer as they were heading almost directly towards it, the angle should get bigger, not smaller, as their own altitude stayed the same. Distance to the object was growing. At a very minimum, it would have been flying away from the jet at least a bit faster than the jet (if the angle just happened to be rounded to the next number). Either way, or a combination of both, it wasn't just hovering in place. Since the jet covered some 13 km during that time, the angle should have clearly increased if that altitude was correct and the object would have stayed in place. Unfortunately this combination of unreliable information of altitude, movement, and size means it's really hard to get any reliable estimate on the distance either. During the video, the horizontal sensor angle changes from 4° Right to 8° Left, so a total of 12°. That rate of change increases as the video progresses and is about 1° per 4 seconds at the end for at least the last 20 seconds. This calculation evaluates the time period between the exact moments the horizontal angle display changes from 2°->3° and 7°->8°, so those angles should be halfway between. That period covers 19.8 seconds, in which time the jet travels 3425 meters. Meaning the (horizontal) distance would have been 5.1 km at the beginning of that time period and 1.7 km at the end. But that cannot be right, since from that distance the object should have basically covered the entire width of the screen with that distance and FOV and estimated size and grown significantly during the video. 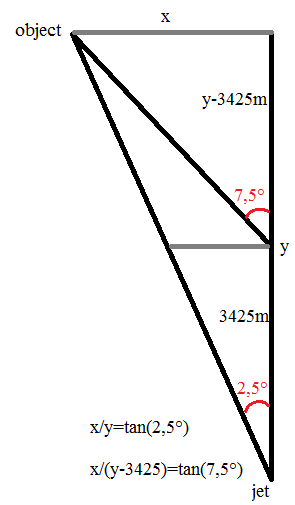 And even more significantly, it just doesn't fit to calculations for other points of time, the angles would be just wrong. It seems the object had to be moving towards the left instead of just hovering. 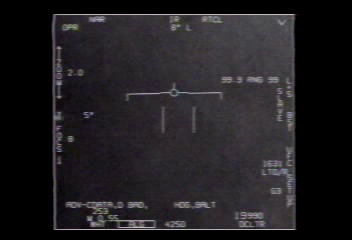 Side note: The ATFLIR horizontal angle display shows odd behavior when the angle is getting close to 0 degrees. It actually changes from 1° R to 1° L without going to zero first, but then it later also goes to 0° for some time. It seems the display is not quite as accurate I have thought it would be, at least not when it's close to 0°. Considering the overall trend of the horizontal angle change in the video, it looks as if the display erroneously changes the L/R indicator to L too soon. 0 seems to be always marked with L.
Near the very end the object supposedly accelerates off the screen with incredible speed. However, the sequence of actions that happened around that time make that interpretation highly questionable. Initially the display is in NAR-mode with 1.0x zoom (=0.7° FOV). Then a mode change from NAR to WFOV with 2.0x zoom (=1.5° FOV) begins, but the display doesn't immediately reflect that change. The ATFLIR needs to physically switch mirrors to do that, which causes artifacts while it happens. The target seems to move extremely rapidly within a few frames towards the lower left corner. That is probably caused by the movement of the mirror change mechanism. After the change has been done, the display temporarily loses the target and shows other artifacts. Then the object is visible again in the new mode, and the target indicators close in on it again as the system regains target track. After which the object is again tracked as usual, centered between those indicator. Soon after, another mode change back to NAR is initiated, with all sorts of strange temporary artifacts again. At this point the object is seen to be somewhat above the target indicator bars, so not anymore in the right position. Clearly the sensor didn't lose track because of acceleration, it lost it already at this point because of that mode change. Next the vertical direction is corrected but the object is still to the left instead of centered where it should be. The target indicator bars show the system trying to acquire the target, but it stays to the side and is never centered after that mode change. Indicating the system never managed to lock it again after that change. The camera was probably still continuing to rotate until this point, and that is why the target stayed close to the same position, even though the target wasn't properly tracked anymore. Then the object appears to move towards left. At the same time the (digital) zoom changes from 1.0x to 2.0x, before the display shows that change. 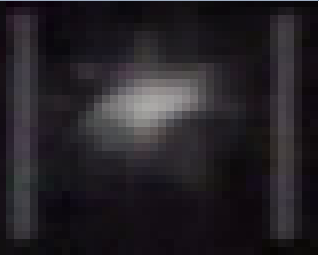 Because of that the object seems to grow to twice the size and jump very rapidly towards the left between two frames, as it wasn't centered when the change happened. After the zoom change is complete, The speed seems to level off again, and it continues to move to the left and the system obviously can't track it. It takes exactly 1 second for the object to move from that initial nearly centered position towards the edge so that it's not visible anymore. First the object seems to move slowly both horizontally and vertically, then it suddenly jumps as the zoom changes, after which it seems to decelerate and perform some minor vertical changes again. It's far from some smooth acceleration to the side. 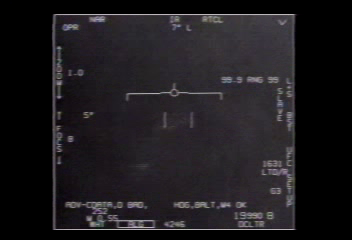 Since the NAR FOV with 2.0 zoom is 0.7°/2=0.35°, the object moved half of that, 0.35°/2=0.175° in 1 second. So what could cause the camera to create an apparent movement like that? Remember the horizontal camera angle was moving towards the left at a rate of 1° per four seconds near the end, so around 0.250° degrees per second. That means it only needed to stop rotating and the object would have seemed to accelerate off like that. And if it lost the target it was tracking, it makes sense it did exactly that. No acceleration needed. 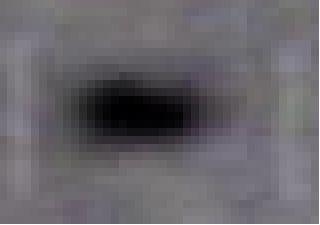 Is it actually possible to see there's no visible means of propulsion from those low quality blobs? If there's no indication of exhaust plumes or means of propulsion, why does it look like that initially? What are those brighter areas that seem to extend to multiple directions? Why couldn't they be caused by jet exhausts or flows of hot air from lift fans for example? It certainly doesn't look just like a Tic Tac at that stage, and it's different to what it looks visually. Near the end the IR footage looks more like a Tic Tac and its visual counterpart. Since the object seemed to be losing altitude, it could be for example that it was initially hovering and generating hot air flows to maintain the altitude, and then began coasting with little engine power and dropping in altitude. The video doesn't really seem to provide reliable evidence for any of the key claims TTSA has made about it. The displayed information doesn't seem to be consistent with hovering but instead with an object that was moving for most of the time and losing altitude. 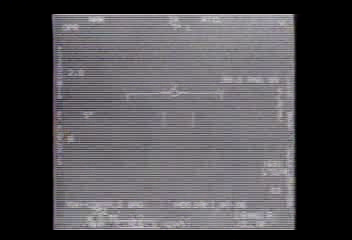 The supposed fast acceleration near the end seems more consistent with apparent movement caused by the camera that stopped rotating when it lost the target it was tracking due to zoom mode changes. The object doesn't seem to display any extreme maneuvers. Since the movement could be even consistent with coasting without power, the clip hardly supports any claims regarding the means of propulsion, and might actually show signatures of hot air flows as well. It should be noted though that the problems of this video do not invalidate other aspects of the Nimitz incident, even if it doesn't give them any support. Since the video was taken some time after the events David Fravor and others have described, there's no guarantee the video even showed the same target. The pilots on record did not film the tic tac. Unfortunately in your rush to provide your predetermined analysis you missed this point. Another cycle from Nimitz launched on that day after Cmdr. Fravor and as the Fightersweep described of the pilots encounters that filmed the event. So your analysis that mentions any correlation with Dave Fravor's, Fightersweep, TTS or Slaight must be discounted. All you have to go on is the ATFLIR display. Try again. You said, thd "Pilot interviews state that the UAP was hovering at 24,000 feet." Again, this is from the original witnesses statements not the one who filmed it hours later. These flight crews are anonymous. 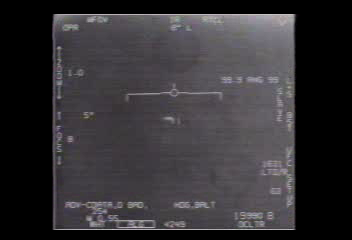 You can see what the ATFLIR captured then, it's not related to the pilot statements. These encounters went on for a week. Data you do not have to make a conclusion. You said " At 1:14, the object suddenly and instantaneously accelerates to the left, out of view of the sensor at what appears to be unprecedented velocity without a sonic boom or other associated tell-tale signatures of a conventional craft. The acceleration is so high that the sensor cannot maintain track. 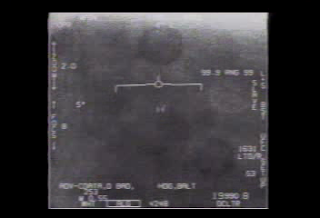 This type of flight performance cannot be achieved by any known aircraft." Please present evidence of this statement. Who said this relating to the video FLIR1? "there was no sonic boom"? I have never heard any of the pilots say this. You are saying this as conjecture. Don't put words in military pilots mouths they did not say. BTW why are you doing this? What is your ultimate goal? I'm just amused and curious. You have arrived at a conclusion and present evidence to support that conclusion without actually even contemplating the event in its totality. While I don't know your agenda, ultimately I can see you throw all the parts of the story out that don't fit your narrative from square one. Why not instead , try to contact the pilots, like I have, and speak with them to get the proper story? Isn't is more interesting to try to find out why? What is this about? These guys and gals put their asses on the line and are the best of the best. Our American Heroes one and all. I honor them. There is no better visual observer than Military Fighter Pilots. I don't have the stats of who gets in. I'd say, maybe 2% of all officer's who want to become fighter pilots. Why not try Investigating human stories and experiences which is more challenging and rewarding than writing and posting diagrams and then discounting these heroes out of hand, as dumb people who don't know what they are looking at. That is highly disrespectful. "The pilots on record did not film the tic tac. Unfortunately in your rush to provide your predetermined analysis you missed this point." No I didn't. Look at the very last paragraph where I state just that. "You said, thd "Pilot interviews state that the UAP was hovering at 24,000 feet." Again, this is from the original witnesses statements not the one who filmed it hours later." I don't know where they got that from, or whether that's accurate, but they state it in the context of when that video was actually filmed. Fravor and Slaight didn't claim it was hovering at 24,000 feet. They saw it hovering close to the water (or actually Fravor didn't want to call it hovering). "Please present evidence of this statement. Who said this relating to the video FLIR1?" TTSA, on that same page, as I mention in the beginning of that post. "You have arrived at a conclusion and present evidence to support that conclusion without actually even contemplating the event in its totality." Again, look at the very last paragraph. Isn't that clear enough? "Why not instead , try to contact the pilots, like I have, and speak with them to get the proper story?" How did you contact them and did it seem like they wanted to talk about it and answer your questions? There are certainly a number of questions I would like to ask them for analyzing their part of the story. And, Bruce Maccabee presents a corrected graph of angular displacement relative to the center of the FOV. 100 on the vertical scale corresponds to 0.375 deg at the left side of the video image. The graph of V1 shows an angular velocity of about 0.13 deg/sec = 0.0023 radians/sec and V2 after an abrupt turn to the left is about 0.35 deg/sec = 0.0061 rad/sec. The most rapid change in velocity occurs over about 3 frames or 3x(1/30) = 0.1 sec so the average acceleration is about (0.0061 - 0.0023)/(0.1) = 0.038 rad/sec^2. Multiply radians by distance to get actual acceleration (component transverse to line of sight). At 40 nm = 2.4E5 ft, this angular acceleration is about 9.2E3 ft/sec^2 or about 290 g. The line labelled L is the horizontal dimension (component perpendicular to the LOS) of the image. The length in the direction of travel depends upon the speed and the exposure time as well as upon the inherent length of the object/light. The sudden jump in length is evidence of high acceleration for a short time. Where has he put his latest analysis? I have only seen one he withdrew. I can do that again if I get the source. Not for nothing - but Bruce Maccabee has too many bungled conclusions to take him seriously. He for one thought the "Guardian" case was real. He also thought a picture of the LED light from a computer mouse in the dark was a UFO in the night sky. Same with Paul Trent's photo's & Ed Walters. So there's 4 cases right there that were fauds/fakes/hoaxes that he thinks are real. So he credibility goes out the window. "It didn’t take long for Maccabee to conclude “unless someone has a better idea, I would have to classify this as a True UFO (TRUFO), which might be some sort of Alien Flying Craft (AFC) (or two such craft)?”"
"When he revealed his hijinks on the Internet newsgroup alt.alien.research, many asked him whether he was a paid government debunker. He replies, “I did it to demonstrate how easy it is to fool the so-called ‘UFO experts’ and how willing they are to take any claim at face value. But rather than learn from this example, their reaction was one of hostility.” And he reports being harassed in many ways. Wilson concludes, “Clearly many of those involved with or supporting ‘UFO research’ are less interested in ‘Finding the Truth’ as they claim, as they are in silencing their critics.”"